We searched for people across the country whose passion for film makes them legendary in their communities. Perhaps they’d saved their local cinema from closure, spent a lifetime serving popcorn or run a mobile film club bringing the big screen to people in remote areas. We asked the nation to nominate people they knew had gone above and beyond purely for their love of film. We had an overwhelming number of responses and heard incredible stories of people who had done extraordinary things to benefit others and enrich their experience of film. Thank you to everybody who nominated someone, our judges found it extremely difficult to narrow down the submissions but ultimately there could only be 2 winners. 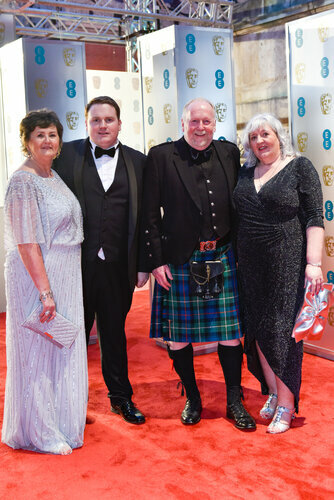 The winners were Iain MacColl of Screen Machine and Dan Ellis of Jam Jar Cinema, pictured below on the red carpet. Dan Ellis opened Jam Jar Cinema in his home town of Whitley Bay to bring films to his community. Named after the historic Tyneside tradition of being able to get into the pictures with a Jam Jar, it was established as a social enterprise to be affordable and to help bring about change to the town. Iain MacColl has been the Senior Operator at Screen Machine for over 20 years, bringing films to the Highlands and Islands with the Screen Machine, a truck that converts into an 80-seat cinema when expanded. - An overnight stay at The Savoy with Champagne Taittinger and Villa Maria wines in the room on arrival.